Two Sterling men are in custody after a drug-related robbery in Sterling early Christmas morning. 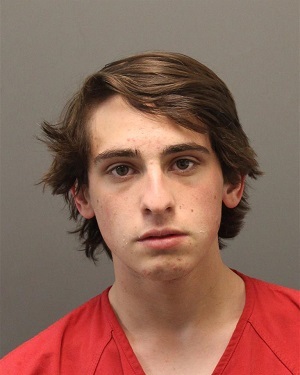 Joseph B. Youhana, 19, and Jaden A. Longchamp, 18, both of Sterling, have been charged with robbery, abduction and use of a firearm in the commission of a felony, according to the LCSO. Deputies responded to the 20900 block of Sandstone Square around 4:30 a.m. Dec. 25, where a male reported he went to a residence to purchase narcotics. He was then assaulted by several men at the residence, and his money was taken. The victim was able to contact a family member, and their girlfriend who came to the house, and they were also assaulted, according to LCSO. During the attacks, a firearm was brandished by one of the suspects. All three victims were able to flee the home and contact authorities. The suspects went back into the residence, and the LCSO established a perimeter around the home and attempted to contact with the suspects inside. A search warrant was obtained for the residence, and LCSO deputies entered the home and took the suspects into custody without further incident. 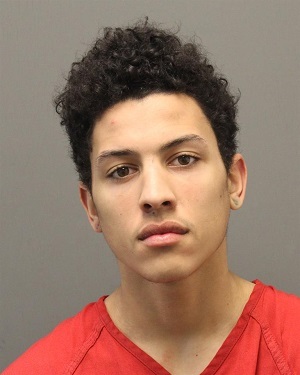 Both Youhana and Longchamp are being held at the Loudoun County Adult Detention Center without bond. I still do not understand "victims", who get beat down and robbed of their cash then reporting their attempts at what may have been a felony to the police. I say no criminal should be allowed to report their own attempts at more crime to the police, let them fight it out with their thug business partners by themselves. I was wondering what happened - I saw all the police vehicles with one black person in the back. I estimate about 8 police vehicles.